They’re taking our jobs! We need to look after our own! Make Australia strong again! This may sound a bit like a rallying cry from Donald Trump or Pauline Hanson, but this type of rhetoric – more familiar amid fervent immigration debates – is actually coming from Rugby Australia. Surely if RA were to build a wall, it would go up halfway across the Nullabor to keep that pesky Western Force lot away. In fact, it was because the Force were cut last year – reducing the number of Australian Super Rugby sides to four – that RA now feels they can do without as many foreign players. “Going to four teams means we will work on the foreign talent eligibility because we feel that there’s limited (contracts available),” RA’s high performance manager Ben Whitaker told foxsports.com.au during the week. This policy shift is designed with the broader ambition of improving the Wallabies. 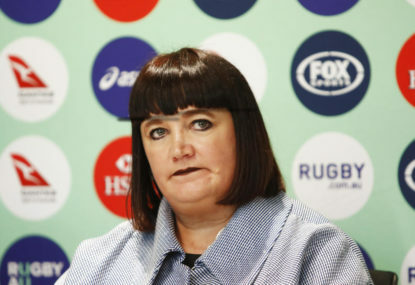 This seems to suggest an insecurity from RA about the commercial worth of Super Rugby and highlights their stance that the game’s overall financial health is, more than ever, strongly linked to the success of the Wallabies. The clear emphasis is on providing depth and exposure for Australia’s rugby talent. It’s a perfectly logical motivation, especially given the struggles of the Wallabies recently and consistent failure to win back the Bledisloe Cup. However, it’s hard to think of workplace arrangements in other sporting competitions across the world that are as restrictive to foreigners as they already are for Australia’s Super Rugby sides. They are still allowed to sign only two foreign players (a rule relaxed at times for the Rebels and Force) to their squads, although some players have come through by committing to residency requirements to become eligible for Wallabies selection. Tongan-born Taniela Tupou made his Wallabies debut last year while the Brumbies’ Fijian No.8 Isi Naisarani is on Michael Cheika’s radar. But Whitaker refused to rule out adopting a policy that would totally prohibit foreign players in Australia’s four teams. “I won’t say it will be zero just yet because we’ve still got some work to do — but the number of ineligible foreign players is certainly dropping and that’s part of the strategy,” Whitaker said. “But I wouldn’t rule it out altogether because we might end up in a competition where you can jag someone of note that can do a whole of things — support you winning footy games, support the development of the young player and thirdly maybe even grow commercial interests. To put up a big brick wall to foreigners would be a step too far. For a start, foreigners can simply improve the quality and performance of teams. 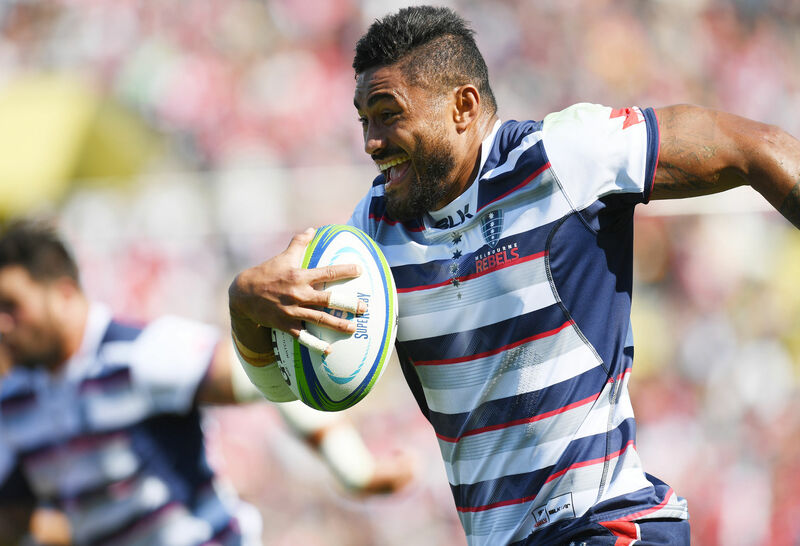 Think Amanaki Mafi at the Melbourne Rebels, Jacques Potgieter at the Waratahs, Tomas Cubelli at the Brumbies. And when an Australian team is going well, it translates to a lift in anticipation for the Wallabies. Plus, the foreigners often bring a bit of colour and spice. This is true not only for fans but they can sometimes provide a point of difference in style and preparation. Adam Thomson and Gareth Delve are two that come to mind as players that would’ve added to the knowledge base of the Queensland Reds and Rebels, bringing across their top-level experience from New Zealand and Wales. I want the Wallabies to thrive as much as the next proud Strayan, but not at the detriment of potentially watching a foreign player light up Super Rugby, raise the overall level of play and entertainment and put bums on seats for the Waratahs, Reds, Rebels or Brumbies. It’s a stance that’s far too jingoistic. South Sydney fans don’t go to NRL games just to see bruising Englishman Sam Burgess, but he certainly adds a lot on and off the field and gives Rabbitohs supporters a reason to get behind their team. Not just because he’s a foreigner but that facet certainly adds to the club’s tapestry and appeal. RA might have been driven to address the issue when last season, three of the five clubs at times had non-Wallabies eligible players starting at five-eighth: Kiwis Jackson Garden-Bachop (Rebels) and Wharenui Hawera (Brumbies) and former Springbok Peter Grant (Force). Of course, it’s a key position but that feels like an anomaly given the current restrictions. Surely there’s going to be enough competition amongst all positions as it stands. The cream will rise to the top amongst four teams. Even the early rounds this season suggests the depth issue is balancing itself nicely. France are also struggling with their foreign player quotas amid a slide in the national side’s success. Just over 40 per cent of the 600 players in the Top 14 are foreigners and clubs are currently only need to have 14 Frenchmen in their 23-strong matchday squads. That will rise to 15 next year and 16 in 2020 and it might go even further. Of course, there are many more teams in the French competition but it’s unlikely they’d talk about even going close to blocking out foreigners altogether. Don’t put up a wall RA – a few foreigners in Australia’s Super Rugby sides is a good thing.